Judge Michael Raphael. Photo: Office of Gov. Jerry Brown. Gov. 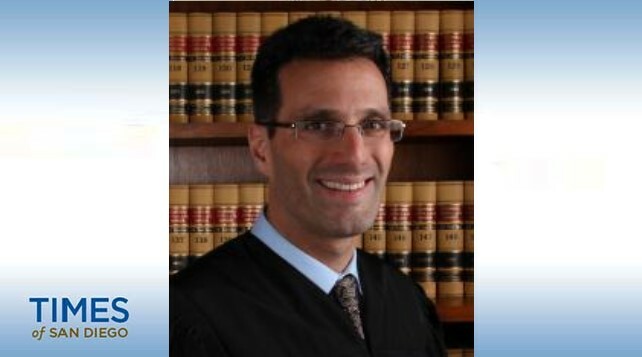 Jerry Brown Friday announced the appointment of Michael Raphael as a new justice on the 4th District Court of Appeal, which includes Orange, Riverside and San Diego counties. Raphael, 50, of Los Angeles, has served as a Los Angeles County Superior Court judge since 2012. He was an assistant U.S. Attorney from 1999- 2012 and investigative counsel in the Office of Rep. Henry Waxman from 1997-99. He was associate counsel at Sidley and Austin from 1994-97. Raphael obtained his law degree from Yale Law School and a bachelor’s degree from Rice University. He fills the vacancy created by the retirement of Justice Thomas E. Hollenhorst.